These show families that you are getting in touch before school even starts. 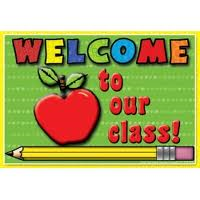 That you care, and that you are excited about the beginning of school! :) Try it! You can buy them, or even make them yourself!